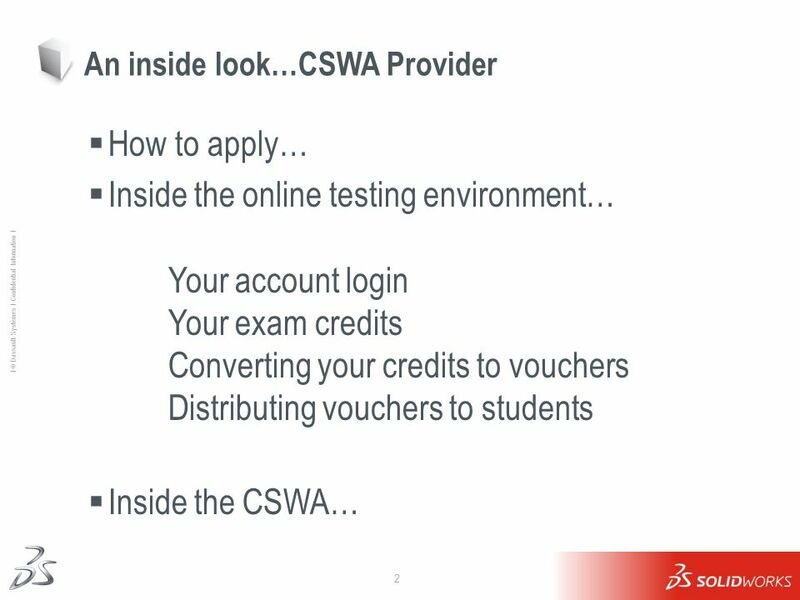 3 How to apply… Go to and click on the “CSWA Provider Application” link. 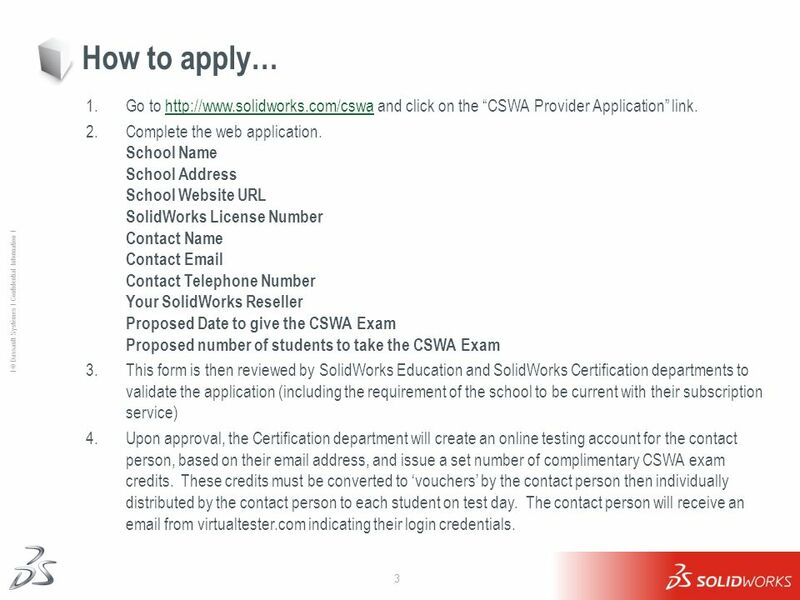 Complete the web application. 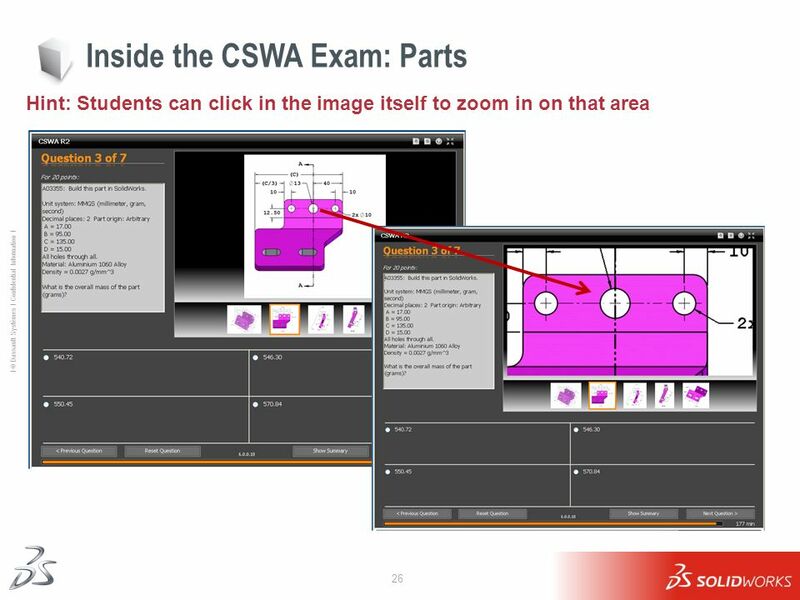 School Name School Address School Website URL SolidWorks License Number Contact Name Contact Contact Telephone Number Your SolidWorks Reseller Proposed Date to give the CSWA Exam Proposed number of students to take the CSWA Exam This form is then reviewed by SolidWorks Education and SolidWorks Certification departments to validate the application (including the requirement of the school to be current with their subscription service) Upon approval, the Certification department will create an online testing account for the contact person, based on their address, and issue a set number of complimentary CSWA exam credits. 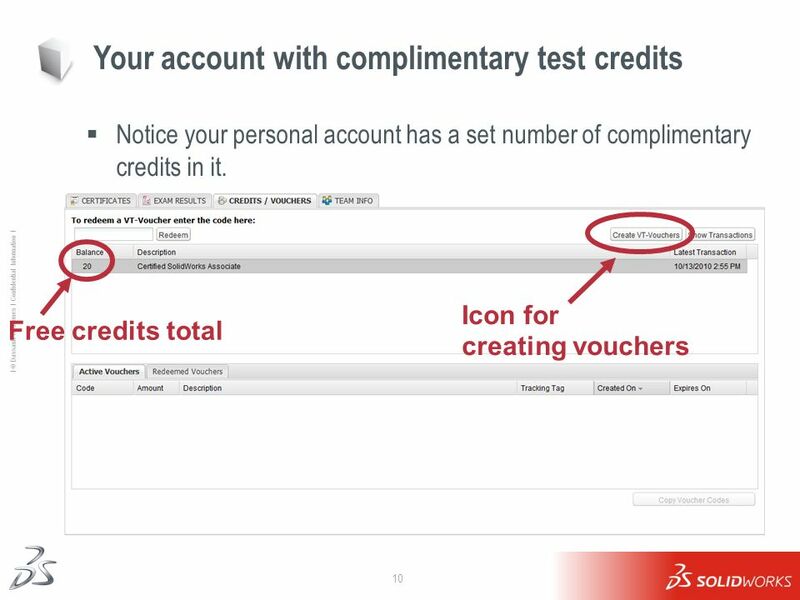 These credits must be converted to ‘vouchers’ by the contact person then individually distributed by the contact person to each student on test day. 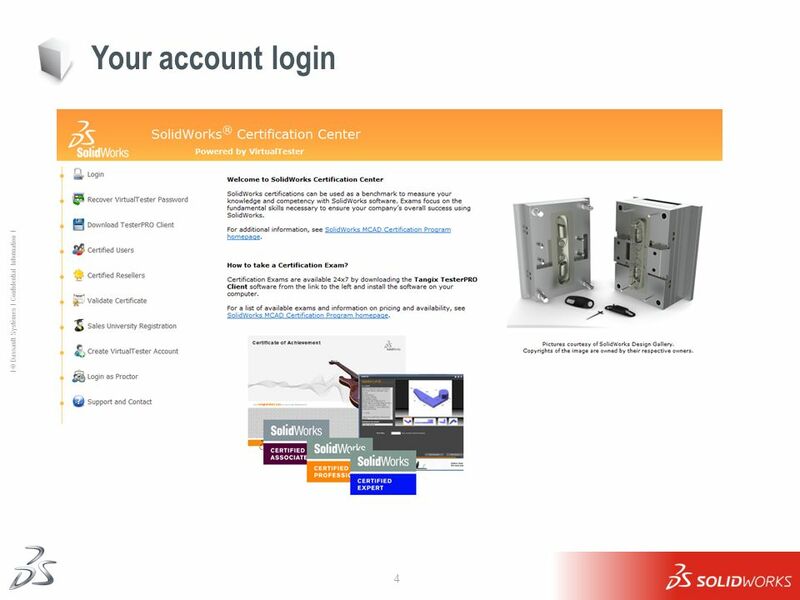 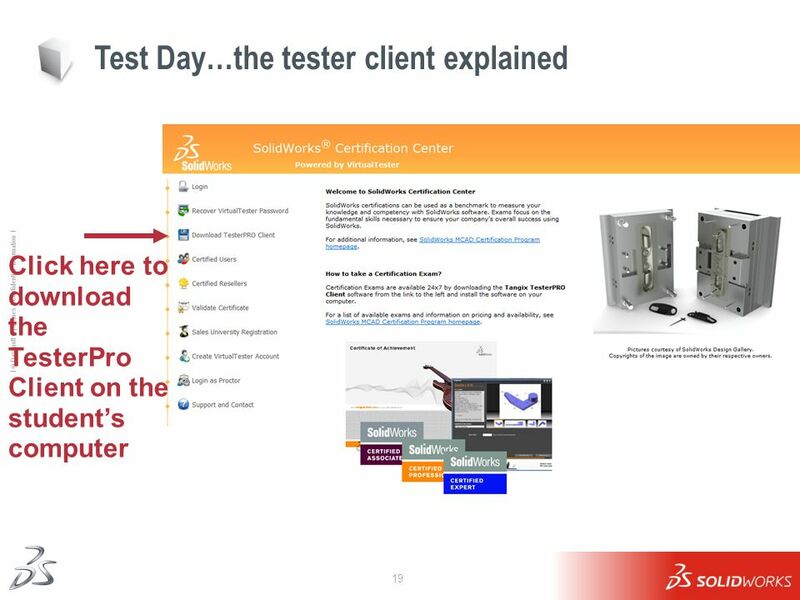 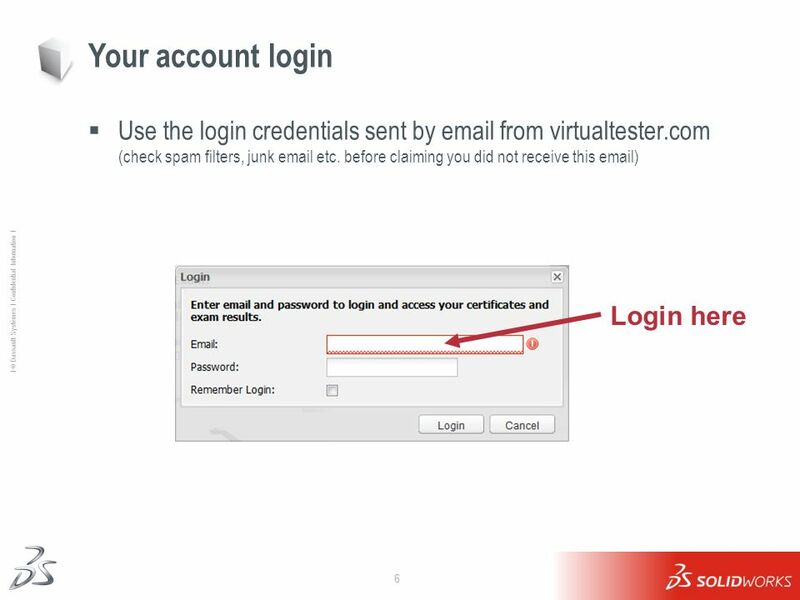 The contact person will receive an from virtualtester.com indicating their login credentials. 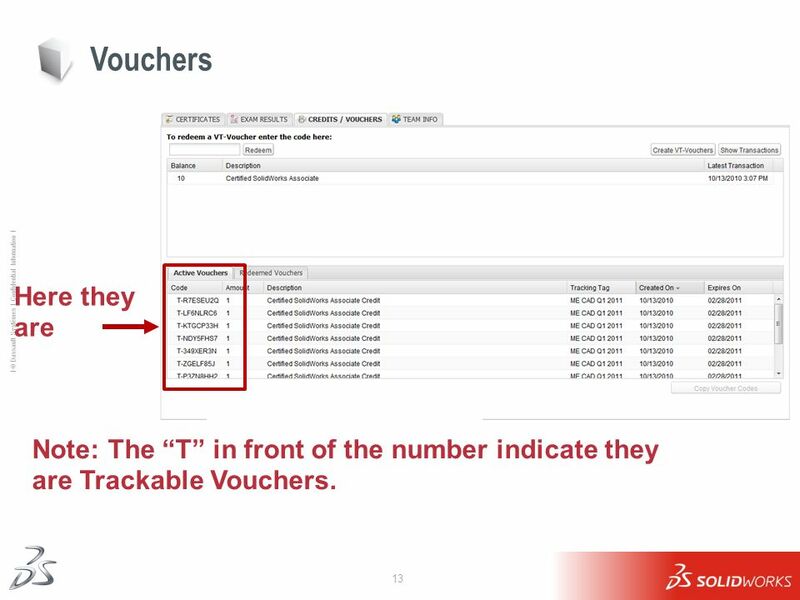 13 Vouchers Here they are Note: The “T” in front of the number indicate they are Trackable Vouchers. Once you have created the vouchers, you can copy and paste the voucher numbers to programs such as Excel, Word, or Outlook. 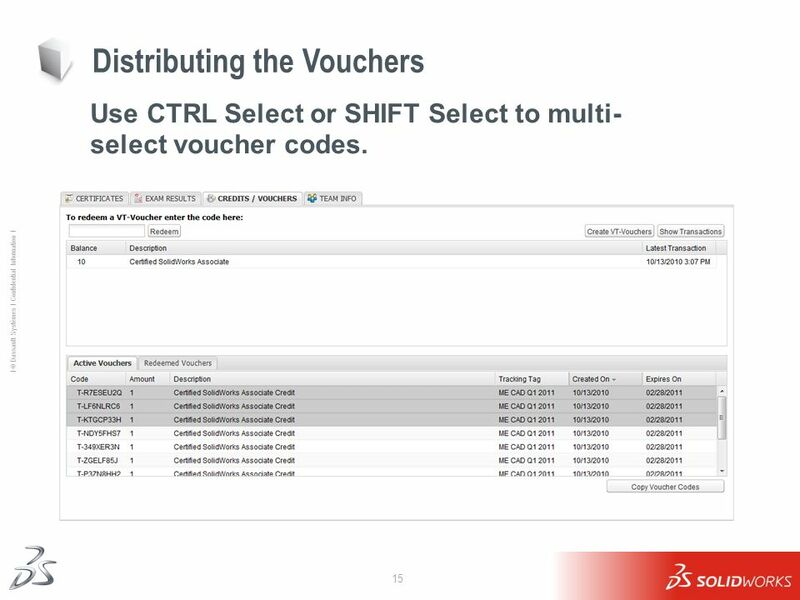 Use CTRL Select or SHIFT Select to multi-select voucher codes. 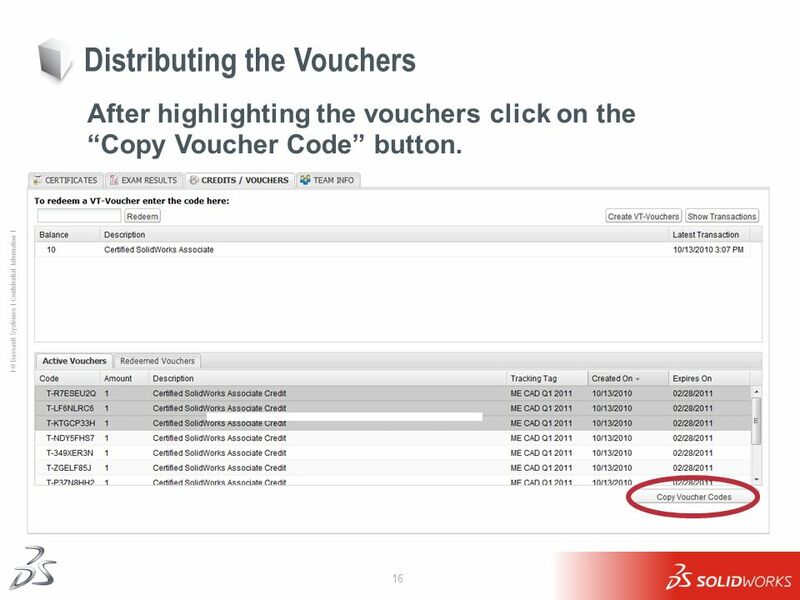 After highlighting the vouchers click on the “Copy Voucher Code” button. 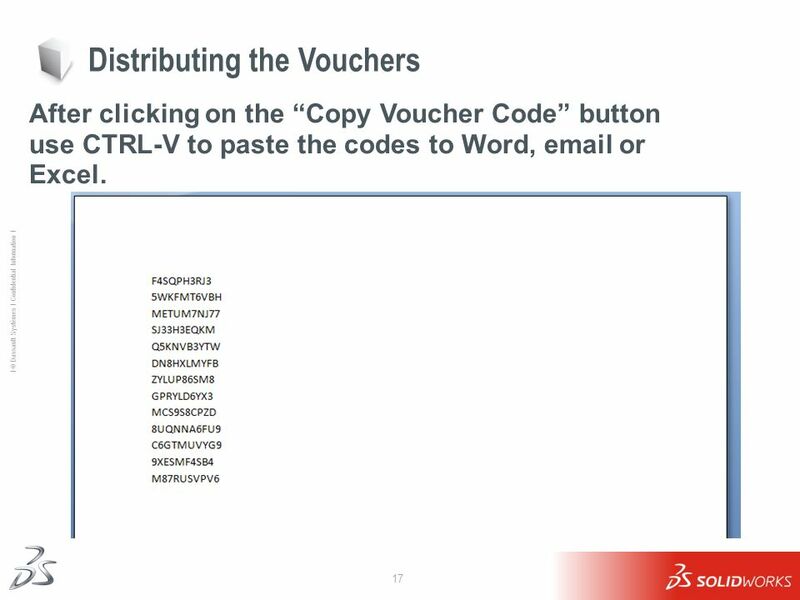 After clicking on the “Copy Voucher Code” button use CTRL-V to paste the codes to Word, or Excel. 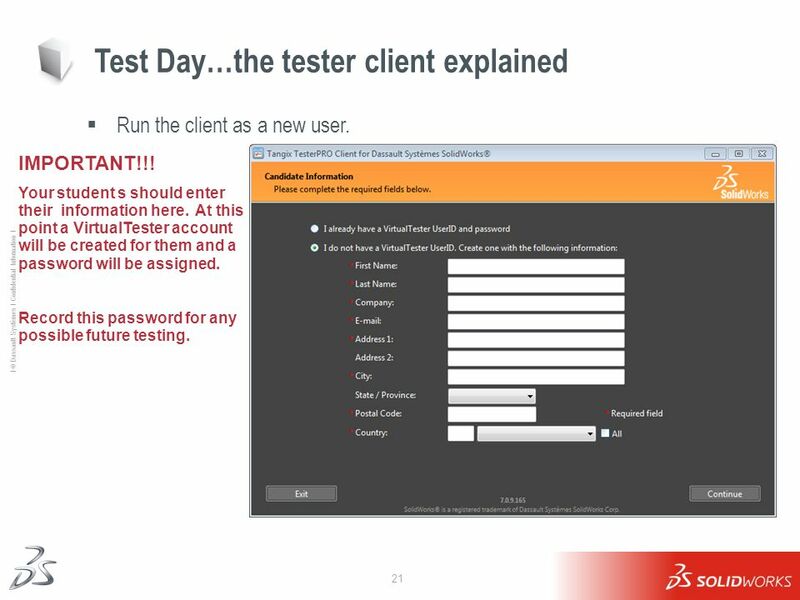 Run the client as a new user. 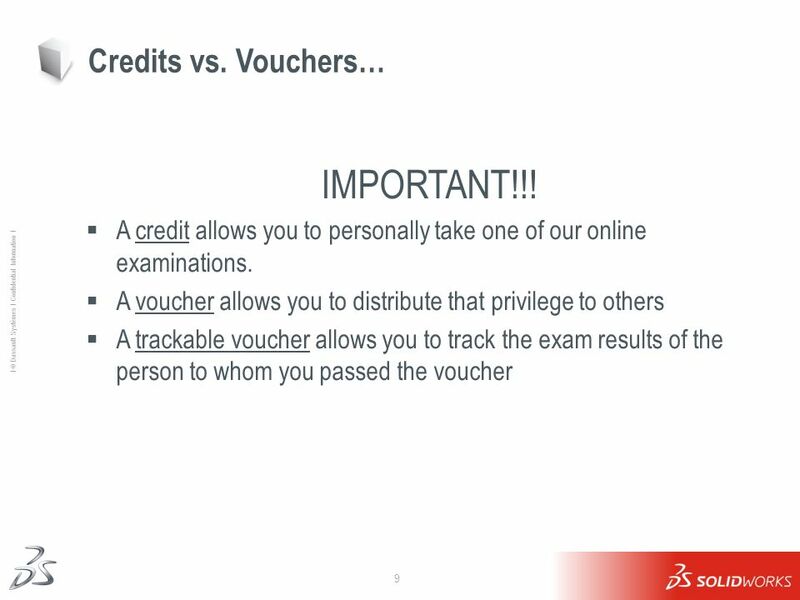 IMPORTANT!!! 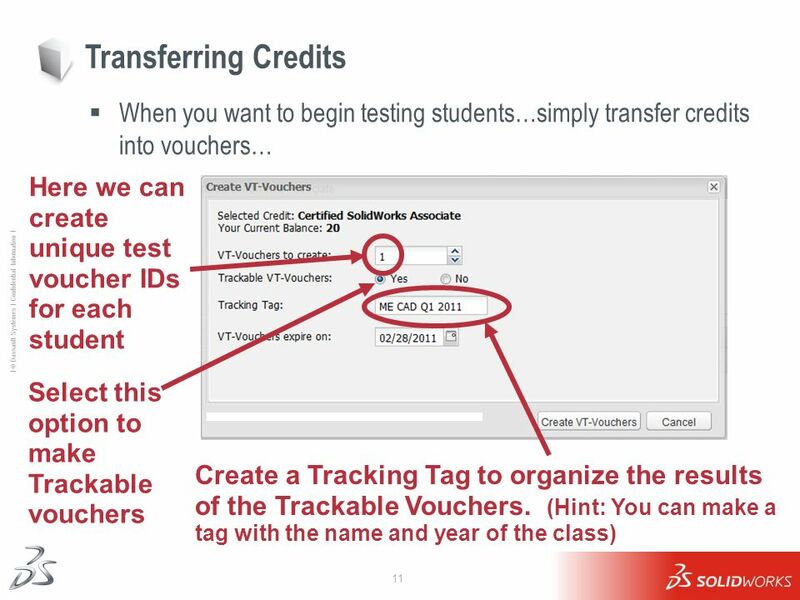 Your student s should enter their information here. 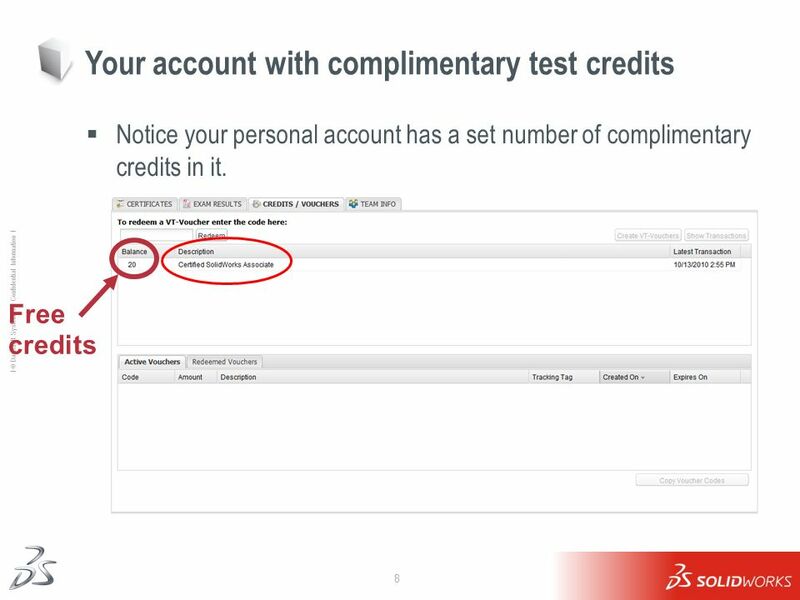 At this point a VirtualTester account will be created for them and a password will be assigned. 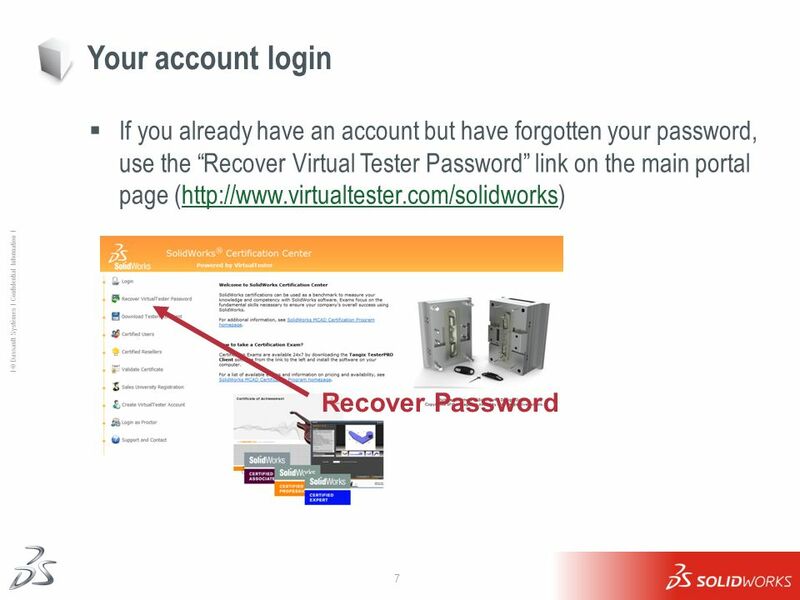 Record this password for any possible future testing. 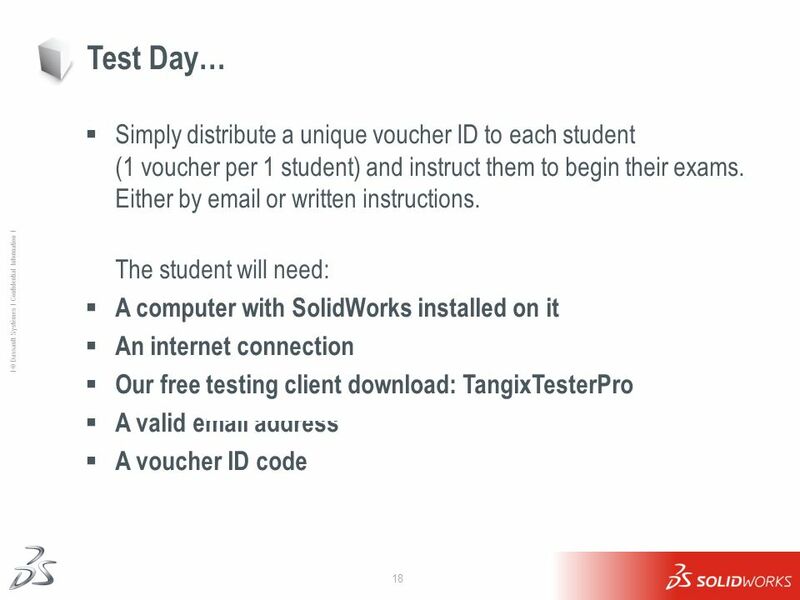 IMPORTANT!!! 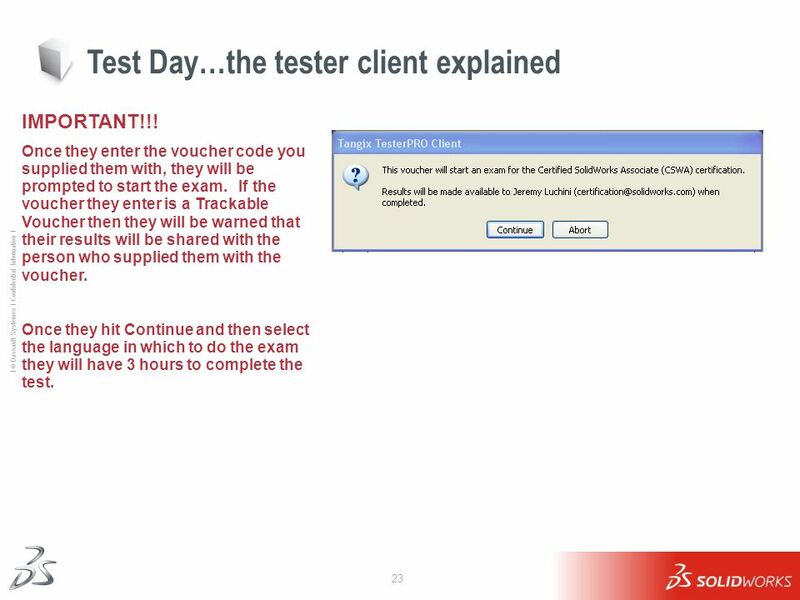 Once they enter the voucher code you supplied them with, they will be prompted to start the exam. 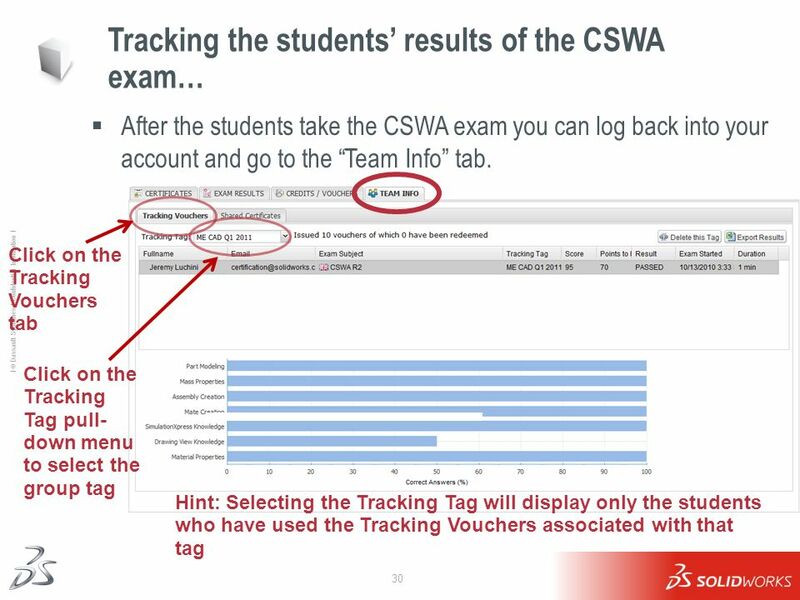 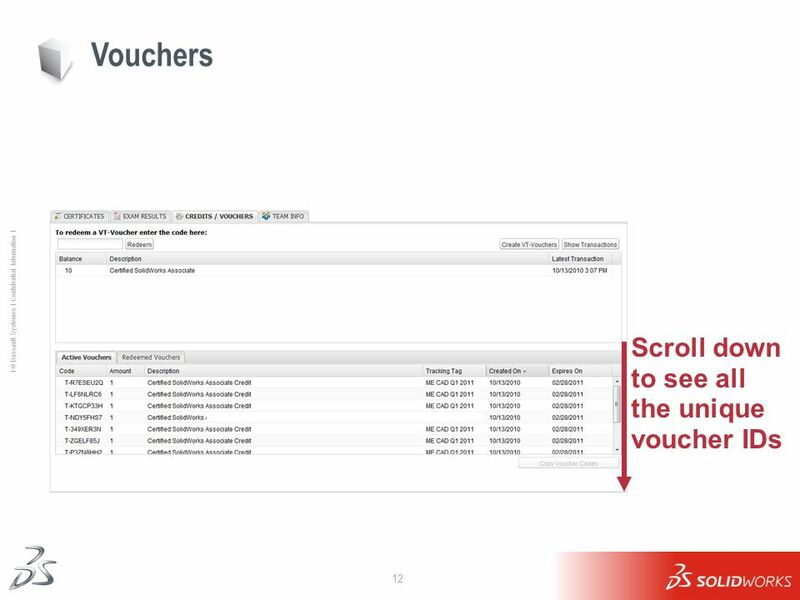 If the voucher they enter is a Trackable Voucher then they will be warned that their results will be shared with the person who supplied them with the voucher. 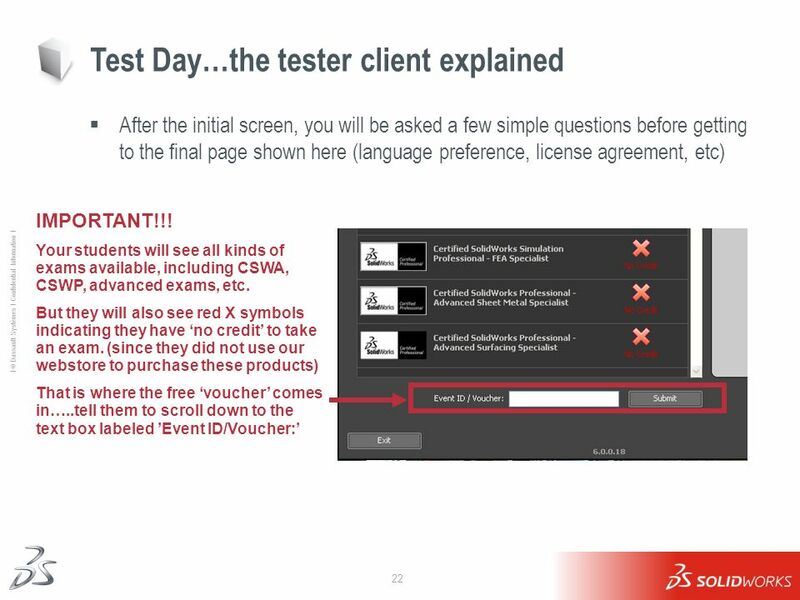 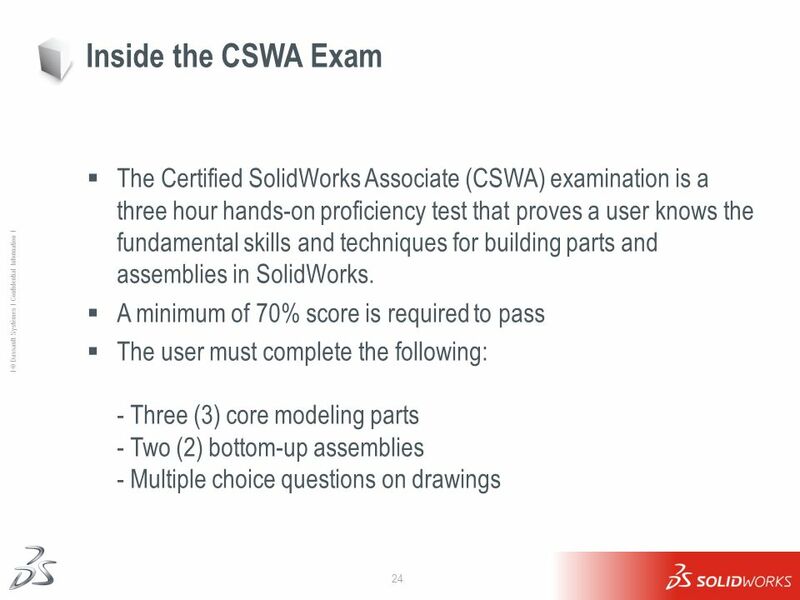 Once they hit Continue and then select the language in which to do the exam they will have 3 hours to complete the test. 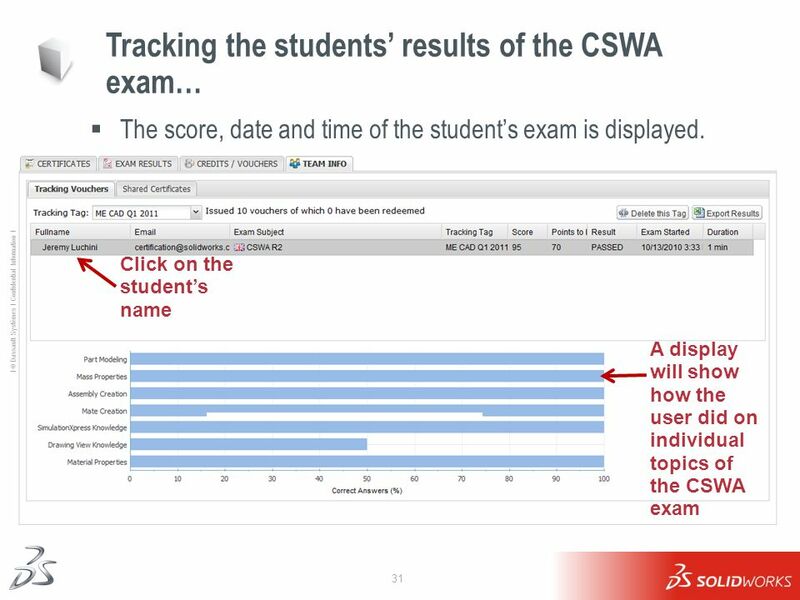 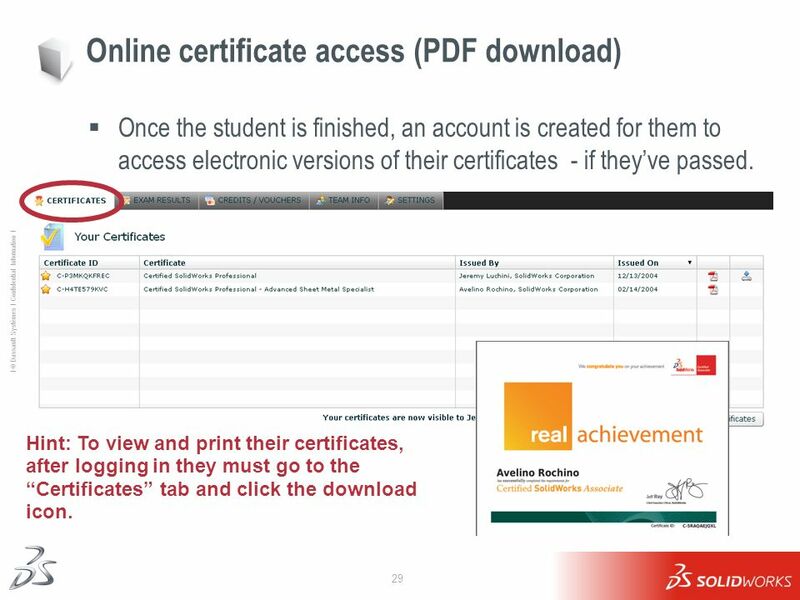 Once the student is finished, an account is created for them to access electronic versions of their certificates - if they’ve passed. 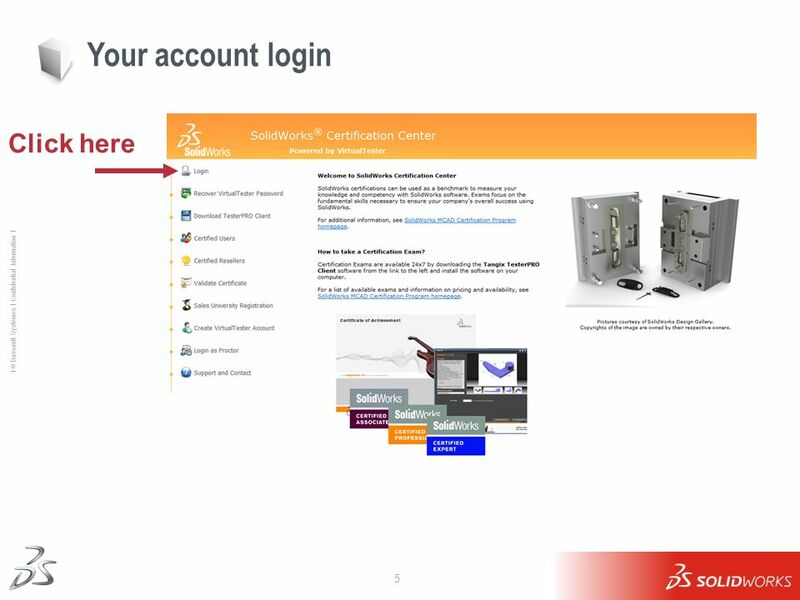 Hint: To view and print their certificates, after logging in they must go to the “Certificates” tab and click the download icon. 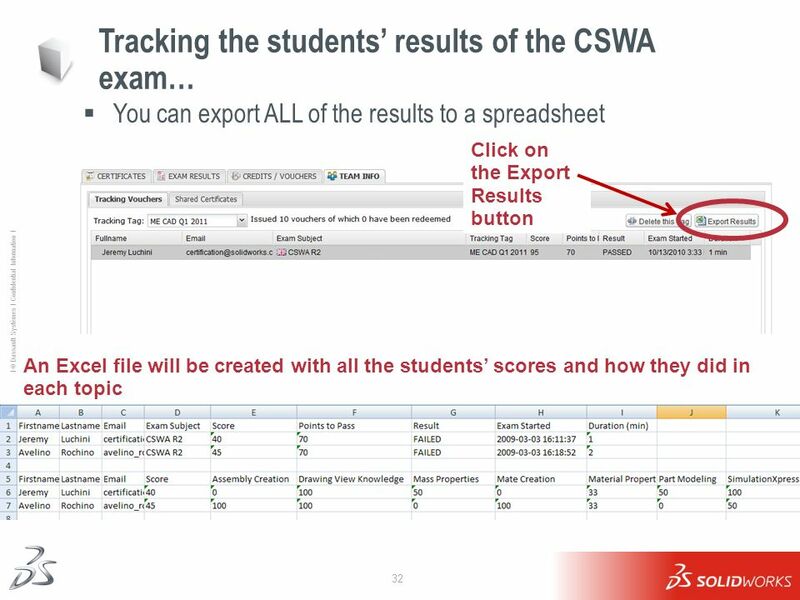 Hint: After exporting all the results to an Excel spread sheet, you can study the results to see in which topics the class did well and which topics the class might have struggled. 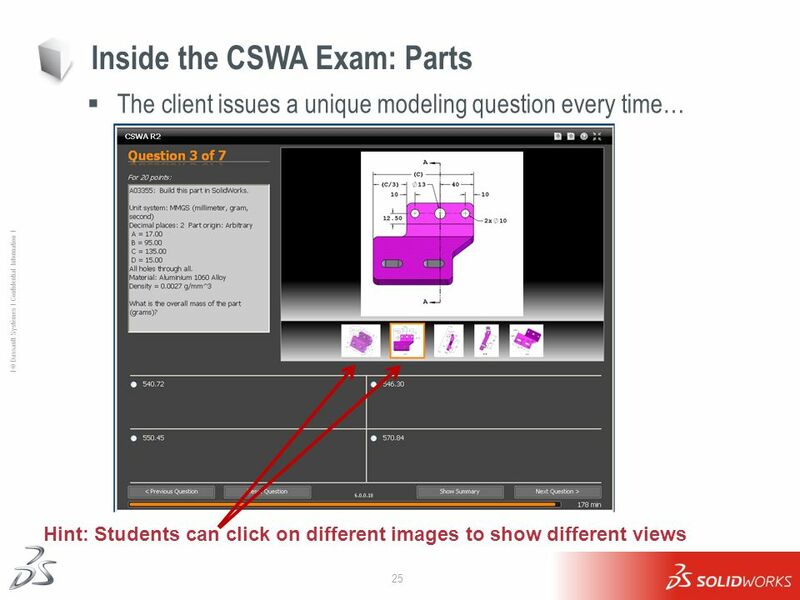 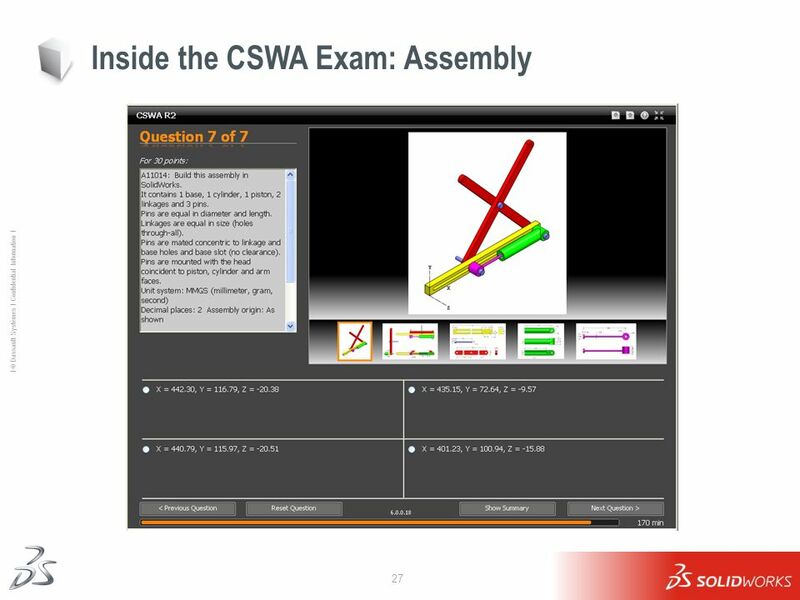 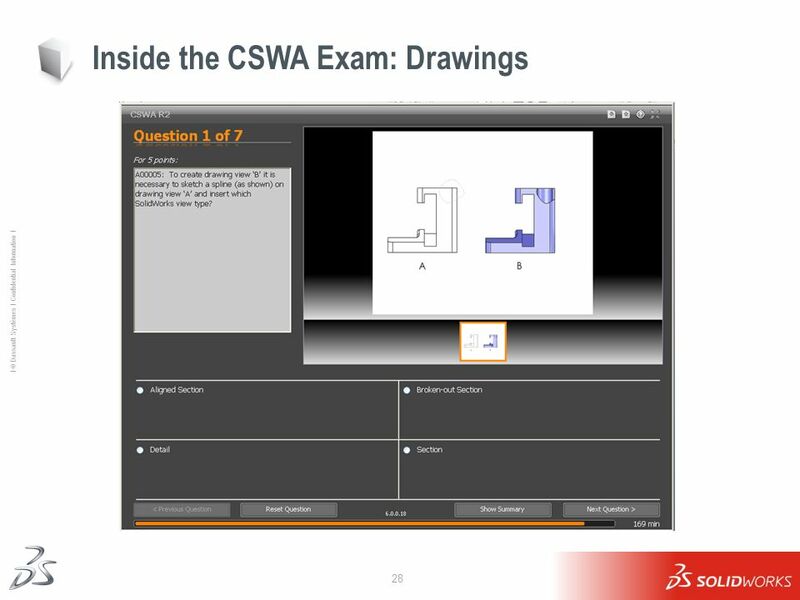 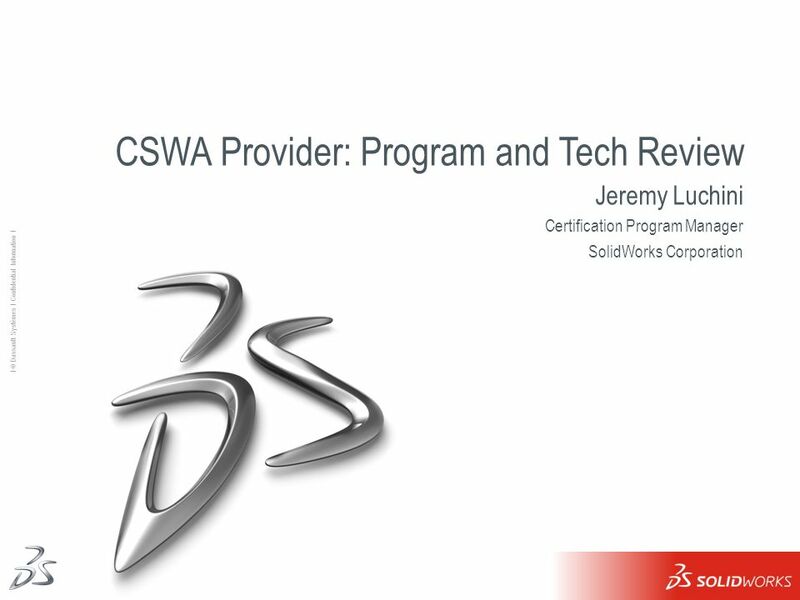 Download ppt "CSWA Provider: Program and Tech Review"